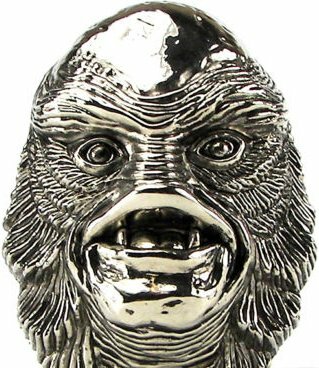 Officially Licensed Monsters Creature From The Black Lagoon Belt Buckle. Creature from the Black Lagoon is a 1954 monster film directed by Jack Arnold. The film start off with a geology expedition in the Amazon uncovers fossilized evidence of a link between land and sea animals in the form of a skeletal hand with webbed fingers.